The organised labour has served warning of an imminent nation-wide strike over Federal Government delay in the implementation of a new national Minimum Wage. Mr Joe Ajaero, President, United Labour Congress (ULC) gave the warning in a communique issued after its meeting on Monday in Lagos. 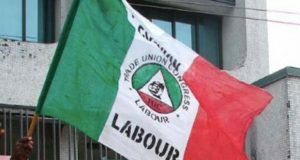 The News Agency of Nigeria (NAN) recalls that the organised labour, made up of the NLC, TUC and ULC had on Sept. 12 issued a 14-day ultimatum to the government to state an amount to enable the minimum wage committee conclude its sitting. Labour had collectively demanded for N65,000 per month as the new National Minimum wage for all Nigerian workers as harmonized by organized Labour. Ajaero said that if the government failed to meet their demand on the expiration of the ultimatum, it would collaborate with other labour centres and Civil Society Organisations to embark on a nation-wide strike. 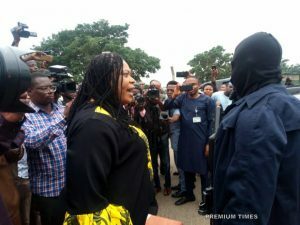 ”We shall no longer be obliged by this time to give any further notice to the government before embarking on the action. ”By this communiqué we order all our affiliates and state councils nation-wide to move to the final level of alert in their preparation for the proposed nationwide strike,” he said. The labour leader said that a new national minimum wage was desirable and possible, adding that lack of patriotism, greed and corruption was the bane of a reasonable wage.